A library research guide on the best sources of information for controversial topics and different points of view. Browse for overviews in subject areas you are interested in. Once you choose a topic, narrow it down to a question, with at least two defensible sides. These databases are particularly good for browsing for topic ideas or finding overviews of topics. Off-campus availability is limited to current students, faculty, and staff. CQ Researcher contains in-depth reports, about 30 pages each, on current topics. A new report is published each week. Each report includes a Pro/Con page giving expert opinions on both sides of a controversial question within the topic. A history of the topic, statistics, and sources for further information are also given. Search or browse by topic. Also in print. Global Researcher, covering international topics, has recently been added to the database. Explores a single "hot" issue in the news in depth each week. Topics range from social and teen issues to environment, health, education and science and technology. There are 44 reports produced each year including four expanded reports. Another great starting place with articles that explore different sides of current issues. Includes ideas for research topics. Search by keyword or browse the "Issues in the Headlines" or "Issues: Pro and Con" sections. Special features include sections on newspaper editorials and editorial cartoons, and "Find a Research Topic." Issues and Controversies covers more than 800 topics in business, politics, government, education, and popular culture. It is updated weekly, with links to a 12-year back-file. This database is built from opinion essays published in the Opposing Viewpoints series of books, but also includes articles and other sources of information on controversial issues. Draws on the social issues series published by Greenhaven Press, as well as core reference content from other Gale and Macmillan Reference USA sources to provide a complete one-stop source for information on social issues. Access viewpoint articles, topic overviews, statistics, primary documents, links to Web sites, and full-text magazine and newspaper articles. Scroll down to the Suggested Topics to browse. Social Issues is one of the categories. Encyclopedias that specialize on specific subjects (such as science, communications, or law, for example) will go into more depth than general encyclopedias. These are good resources to find history, overviews, and basic facts, and for getting ideas on how to narrow a broad topic. Look for questions or controversies within the topic. Encyclopedias of social issues and those covering ethics are particularly useful for background information on controversial topics. Ask a librarian for help identifying specialized encyclopedias on your topic. What makes a topic controversial? Often it includes an ethical or moral question. 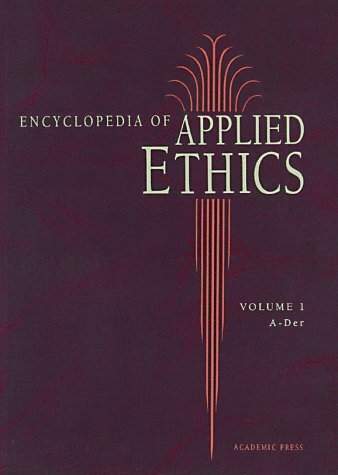 Ethics encyclopedias include overviews and discussions of complex ethical questions relating to many controversial topics. Online encyclopedia; use the "search within this publication" box or browse the table of contents. Each book in these series covers a single broad subject, giving the arguments on different sides of the issues. You can also find some statistics and historical background. You might want to use just a single chapter from one of these books. Opposing Viewpoints is also available as a database. To find a list of books in each series, search for the series by title in the STLCC Library Catalog. Credo and Gale are only available online to current students, faculty and staff. Credo Reference is a database of reference books, including many specialized encyclopedias and dictionaries. It's a great resource for authoritative information on many subjects. Gale VRL is a small collection of specialized encyclopedias and other reference books, including Encyclopedia of Bioethics. Wikipedia is the largest, most convenient online encyclopedia, but BE CAREFUL! Remember that anyone can add information to Wikipedia, regardless of their qualifications, and that information in Wikipedia often changes.